For a long time, autoflowering cannabis varieties were deemed inferior in comparison to photoperiod seeds. Growers thought autoflowers lacked taste, potency in terms of THC or that the (by default smaller) plants were supposed to be low-yielders. Now that times have changed and these strains have been fine-tuned, we at Amsterdam Genetics like to beg the differ. Let’s start off with a small introduction to the term ‘autoflower’. Autoflowering cannabis varieties – in contrast to normal ‘photoperiod’ strains – are not dependable on nighttime-hours to begin flowering. ‘Regular’ or ‘photoperiod’ cannabis plants though, need their days to be shorter than fourteen hours (so nights longer than ten) to start their flowering stage. That’s why photoperiod plants are kept in a vegetative state by providing them with eighteen hours of light and six hours of darkness everyday (18/6). To start off the flowering stage, you simply put them under an equal 12/12 regime – so twelve hours of light and twelve hours of darkness. 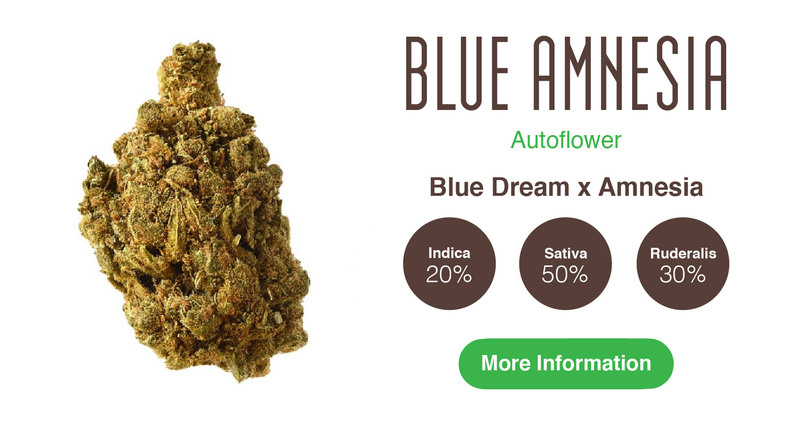 Autoflower cannabis strains are indica-, sativa- or balanced hybrid-strains crossed with a ruderalis-variety. Other then indica or sativa cannabis plants, this particular ‘race’ – if we can call it that – is NOT dependable on its hours of light and darkness to start flowering. She’ll start flowering automatically, regardless of her light-regime. This means autoflowers are relatively easy to grow and can benefit from eighteen, up to twenty-four hours of light per day! And seeing that light = weight, this method is an effective way to increase your autoflower’s yield even more. 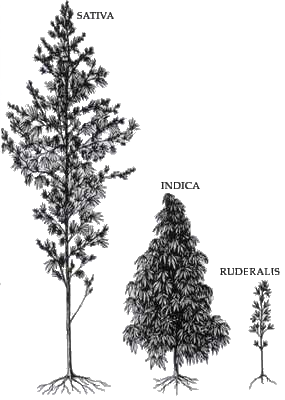 It is a fact that autoflowering cannabis strains do not grow as tall as their photoperiod counterparts. Making them ideal for people growing in smaller cabinets or tents; or those who want to keep their outdoor-grow out of sight. But don’t be fooled by their appearance, these small plants can perform nonetheless. Although most autoflowering cannabis species have been stabilized and developed into tastier and higher yielding specimens over the past few years, some ended up yielding more than others. Like all cannabis strains tend to differ in terms of yield, taste and potency. So, to cater those who are looking to cash with their crop, here’s a list of the highest yielding autoflowers Amsterdam Genetics has to offer. One of the three highest yielding autoflowers in our seedbank is our very own AK-020 Autoflower. Praised for her potency and unique taste by recreational users, this special strain can also be used medicinally by people suffering from stress, or by those who suffer from eating and/or sleeping disorders. 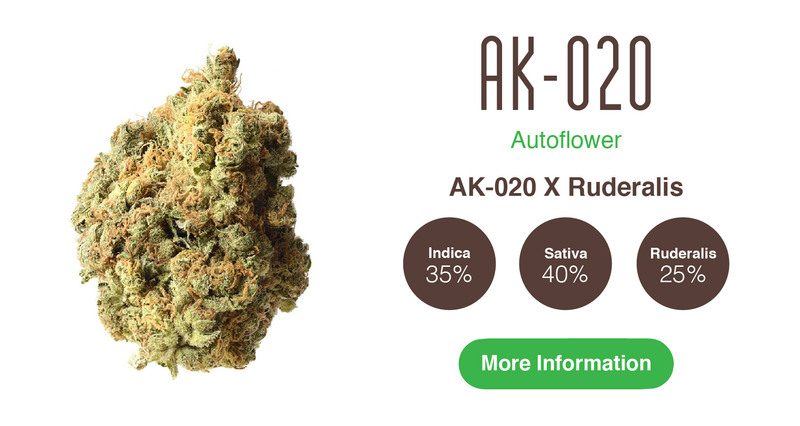 AK-020 Autoflower produces large and overall heavy flowers in a period of 8-9 weeks and is fairly easy to maintain. 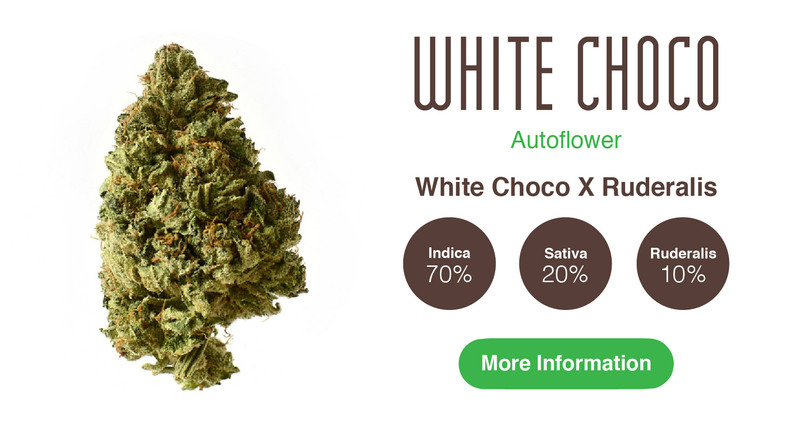 Crossing our world famous ‘White Choco’ cannabis strain with a specially selected ruderalis, has not affected the autoflowers results in terms of taste and potency. Our White Choco Autoflower therefore provides the same spicy-sweet chocolate taste and intense bodybuzz you know from the photoperiod variety. And like the other strains in this list, she’s one of the higher yielding autoflowers in Amsterdam Genetics’ assortiment.